Robert Herrick. 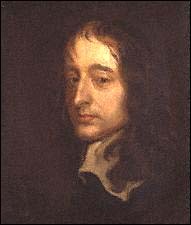 To the Most Learned, Wise, and Arch-Antiquary, M. John Selden. My wreaths on those who little gave or lent. Whom they neglected thou hast crown'd a poet. Live thou a Selden, that a demi-god. John Selden (1584-1654). Unknown Artist.